Concussions, Thanksgiving, a runaway kid, Sinead and Miley and BlissDom all caught my attention this week. 1. I'll tell you what has caught most of my attention this week and that's concussions. My 16-year-old son got hit in the head this past weekend -- on the football field. He's had headaches and is sleeping half the day. He can't go to school, read a book, watch TV, look at any screens or do any exercise. It's scary, but I know he'll recover. Still, I want him to understand what's happening to him. So when he is well enough to watch videos again, I'll show him this one, from our favourite doctor, Mike Evans. I have shared it with you before, but I feel like it's OK to watch again...and again. Sometimes we have to see things more than once to remember them (especially if you've had a couple of concussions). 2. This weekend is Thanksgiving and it's my turn to host. I'm really excited about it, too. Actually, I completely nerd out when it comes to large family dinners. They are one of my favourite things in the world. We call it mandatory family fun in my house and we make sure it is. 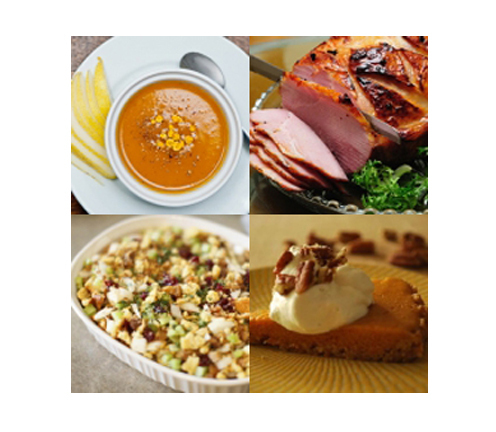 Of course, the food is important too--so I'm going to take some inspiration from our amazing gallery of recipes. You should too. 3. Meanwhile in the news, what caught my attention was the story of the nine-year-old boy who snuck onto a plane and flew to Vegas last Thursday. 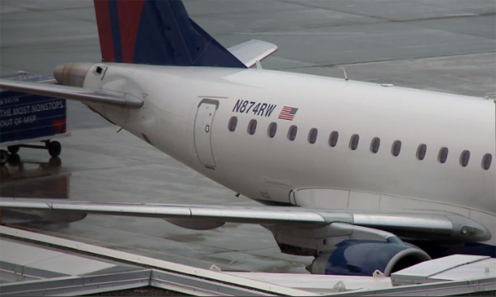 He reportedly managed to make his way through all the security checks in the Minneapolis-St. Paul International Airport without a plane ticket and then charmed his way onto the plane. He even ordered a meal in the airport and left without paying. I suppose if you're going to run away from home, Vegas is a good place to go? 4. One little girl who never ran away from home is Miley Cyrus. It kind of seems like she has these days though, with the lack of advice or parental direction being provided. I'm all for learning the hard way and letting kids 'fail' but I'm not so sure I would play by the same rules if my child was so deeply entrenched in Hollywood. 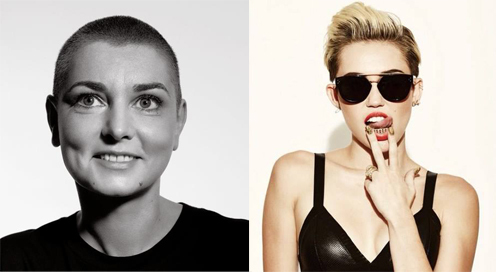 Read this letter from Sinead O'Connor to Miley. She explains that the team of people who are behind her latest escapades do not have her best interests at heart. They are getting rich from her --and when she checks herself into rehab in a few months/years/days, they will be drinking champagne on their yachts. Why isn't her father telling her this? Surely he knows this too. 5. Last weekend we went to BlissDom, and what did we see? We saw all kinds of amazing bloggers who were interested, engaged and eager to learn. It was lovely to see and speak to so many Savvy Storytellers and members of our Collective as well. 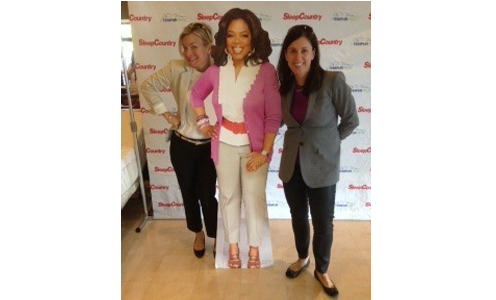 And Oprah was there, did we mention that? Have a wonderful long weekend with your family and a Happy Thanksgiving.